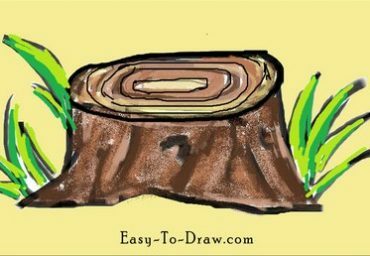 After a tree has been cut and felled, the stump or tree stump is usually a small remaining portion of the trunk with the roots still in the ground. Stumps may show the age-defining rings of a tree. The study of these rings is known as dendrochronology. Here are the steps to draw Cartoon Tree Stump. Enjoy! 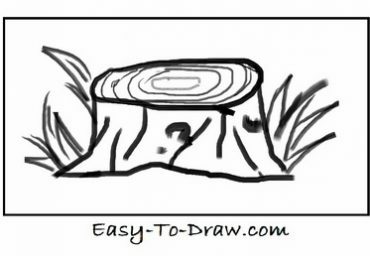 Step 1: Draw the outline of tree stump. Step 2: Draw some texture on the stump. 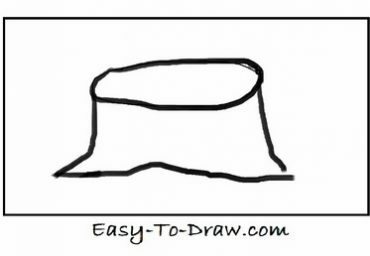 Step 3: Draw some growth ring on the cross section. 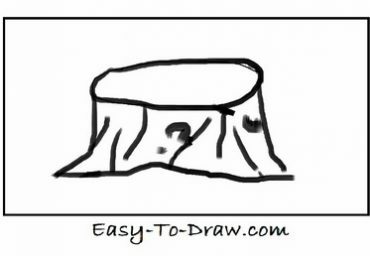 Step 4: Draw some grass under the stump. 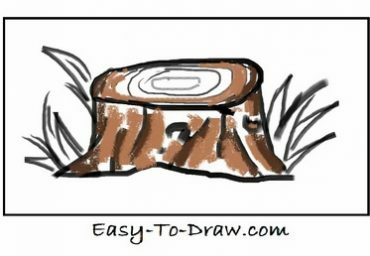 Step 5: Color the outlines of the stump dark brown. Step 6: Color the inside circle light yellow. 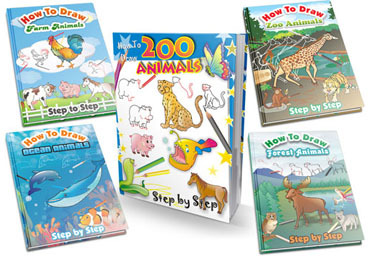 Step 7: Color the grass green. Step 8: Color the background yellow. 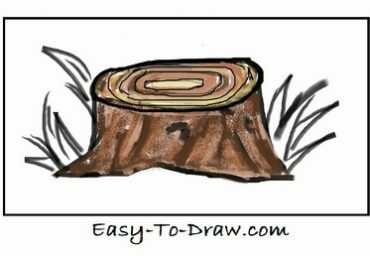 Tree Stump Video Drawing Tutorial for kids!